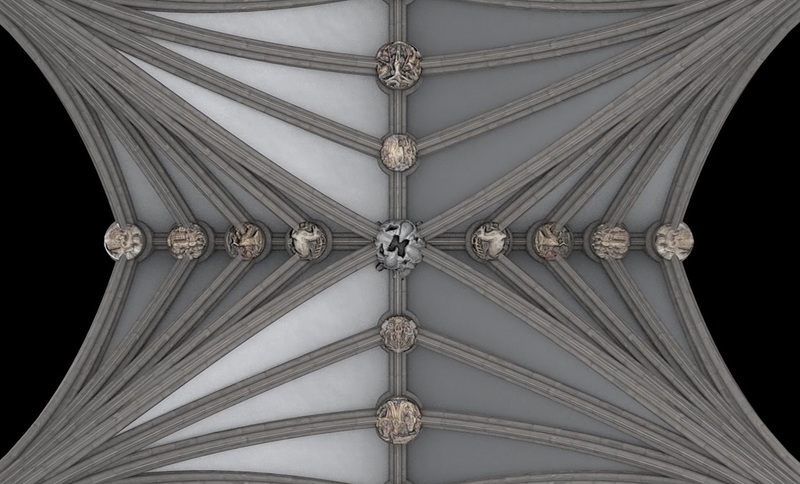 This project presented us with an exciting opportunity to explore the story of the abbey church of Crowland and bring together stories relating to different stages of the building’s life. 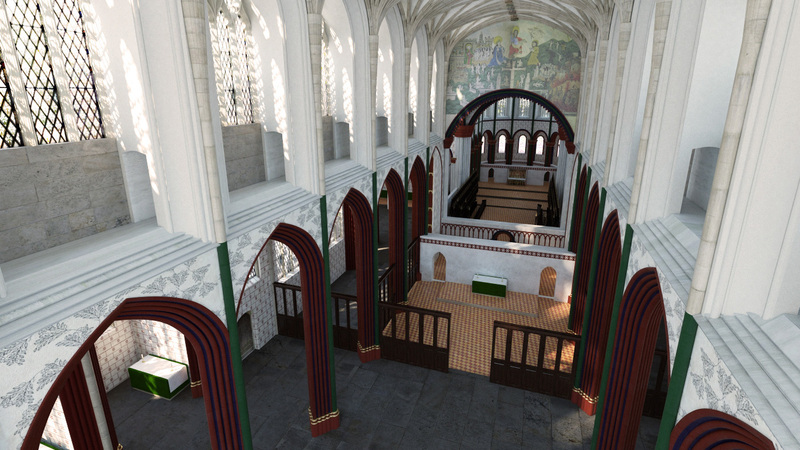 The brief was to provide research and 3D modelling that could uncover and visually present the abbey’s structural development as part of an interpretation scheme that related a comprehensive, coherent narrative based on current understanding. 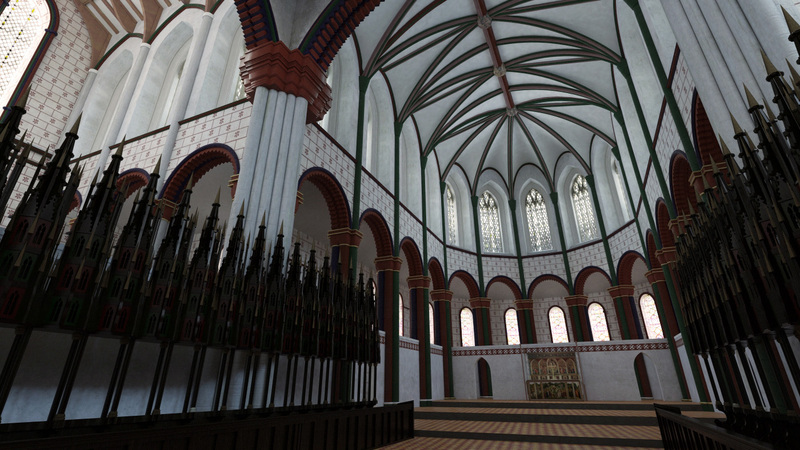 The project covered an eight-month period in 2014, during which C&C provided detailed historical research that informed the creation of a series of 3D visualizations depicting Crowland Abbey in past periods. 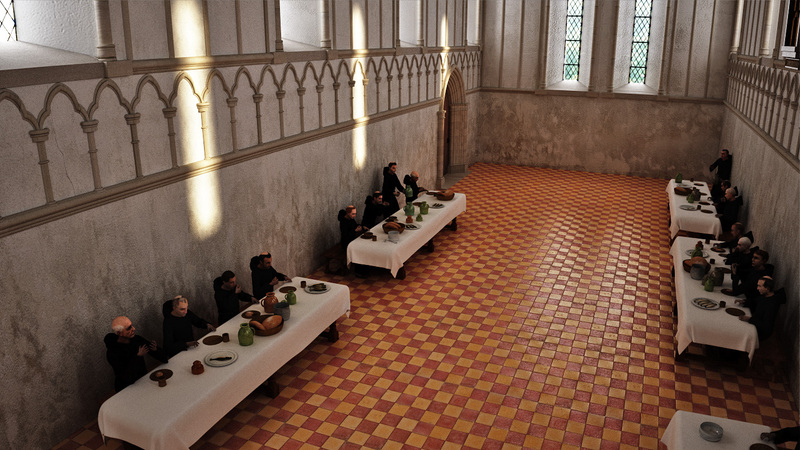 These past periods represented four key points in the story of Crowland Abbey, highlighting major changes in the building's form and role and illuminating its rich and fascinating past. 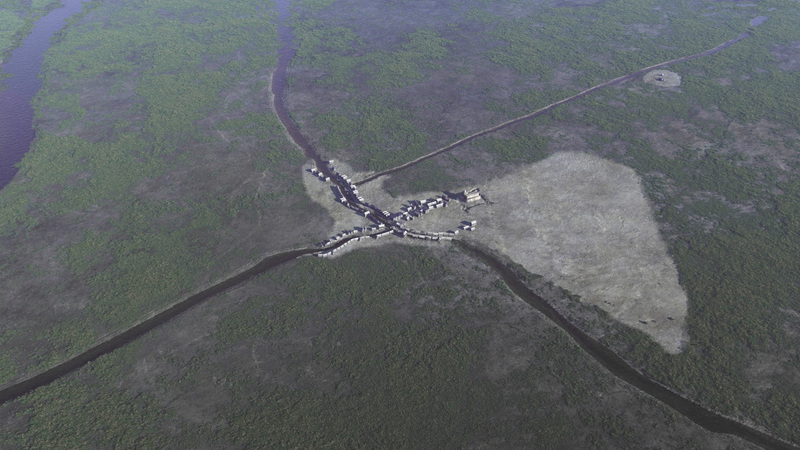 The research therefore focused on the abbey's physical structure and form (externally and internally), its surrounding environment and landscape, the building's monastic past and the surviving structural fragments that are on display as part of the abbey's existing interpretation (prior to this work). 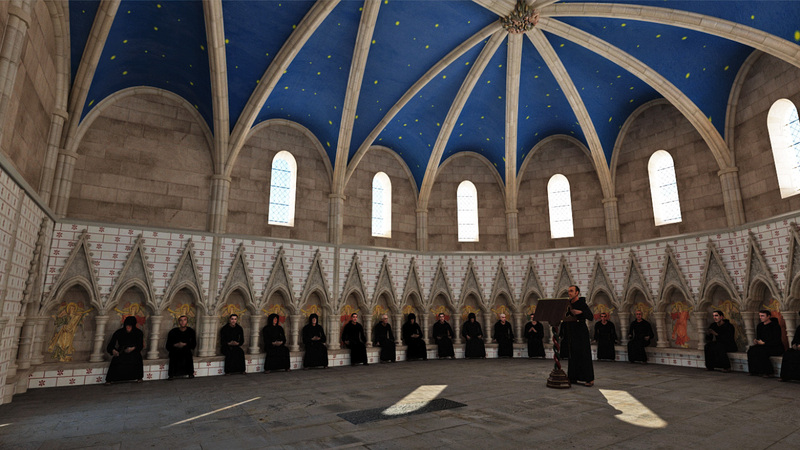 The project's outputs were in provided in the form of animated movies that explored both the Abbey's exterior, interior and surrounding environment. 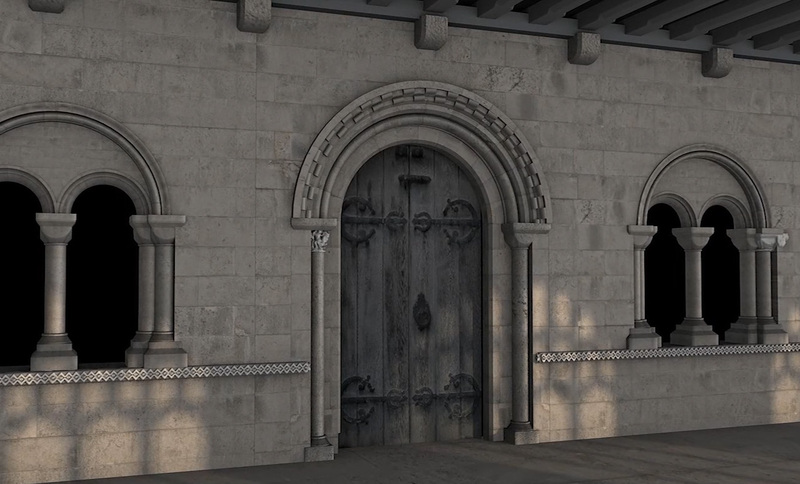 In addition, a separate sequence of animations sought to digitally 're-insert' surviving fragments of historical stonework back into their past surroundings! 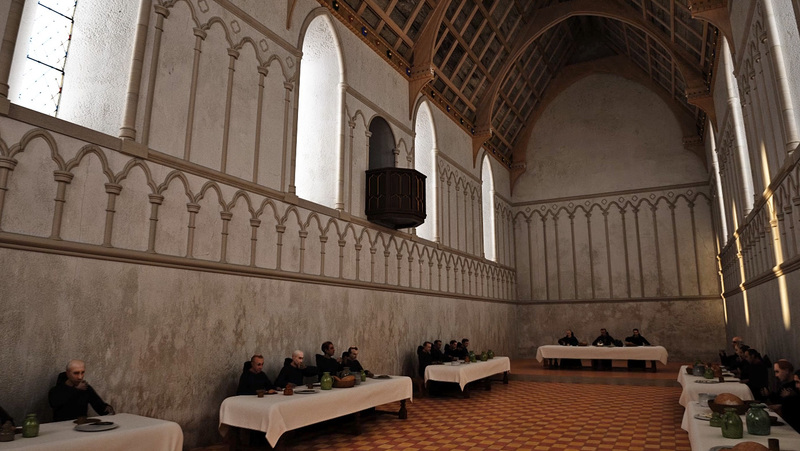 These engaging examples of digital reconstruction formed an integral part of the Abbey's interpretative development plan and the Crowland Abbey Visitor Centre Project.